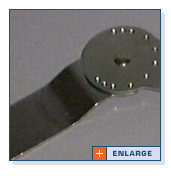 Punch Tools is a leader in the development of proprietary metal orthotics components. Years ago we developed a successful line of industry standard hinges and stays and as our customers grew so did their specific needs. • Design services creating 3D electronic images for visualization, manipulation and easy updating. 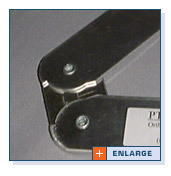 • Hinges in your choice of metal from stainless steel to aluminum or titanium. • Prototype samples. 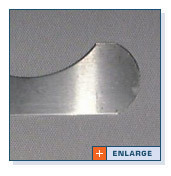 • Deburring to eliminate sharp edges that could damage the sewn cavity. • Innovative stopping techniques reducing part requirements. • Finishes such as anodizing or powder coating for the premium look. • Unique industry leading methods to secure hinges and allow smooth yet wobble free range of motion. • Careful packaging to ensure your goods arrive in pristine condition ready to be installed. • Initial start up and full production hinge and stay quantities. • All manufacturing takes place in Canada. Working in unison with their dreams of new designs, our customer imagine and we supply the 3D images for them to examine. Once we reached a design plateau samples are provided and dreams became reality. Today we manufacture numerous proprietary metal orthopedic hinges and stays with more on the way. As today's manufacturing becomes more specialized let us provide your design engineering and metal stamp production of metal orthopedic hinges and stays.